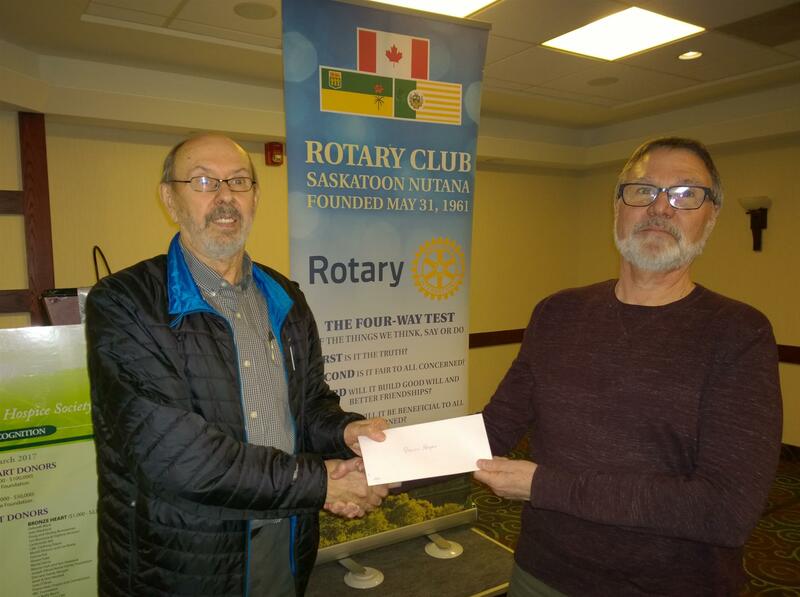 At its meeting on January 30, 2018, the Rotary Club of Saskatoon Nutana presented $1,500 donations to each of Cheshire Homes, Dubé Centre, Saskatoon Open Door Society and Prairie Hospice Society to support their work in the community. 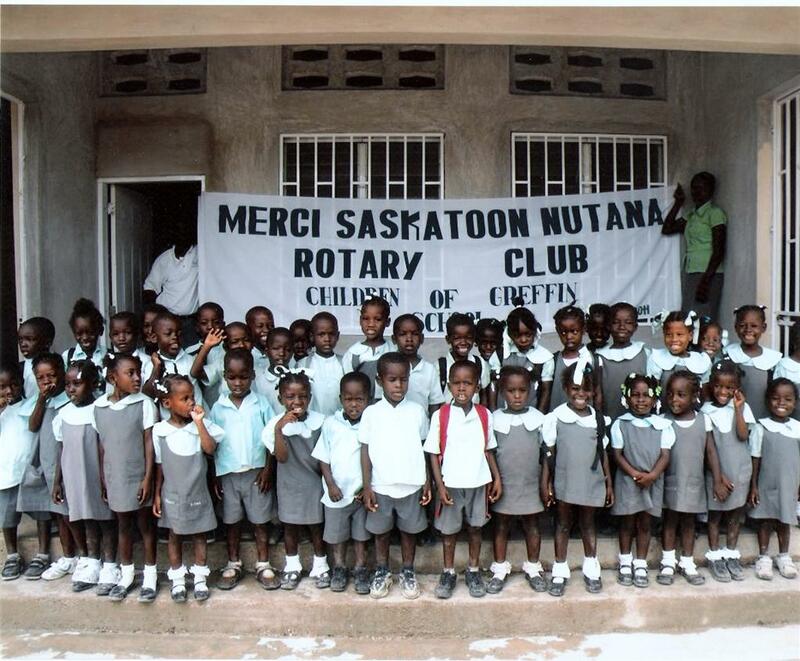 The Rotary Club of Saskatoon Nutana held its annual Nobel Peace Laureate Recognition Ceremony at the Peace Plaza in Rotary Park in Saskatoon on Tuesday, September 27. This year, the students of the EcoJustice Class at St. Edward School sponsored a brick in honor of Malala Yousafzai, who received the Nobel Peace Prize in 2014 for her work in the area of children's rights. The EcoJustice students each had a short presentation about Malala and education, especially for girls and women. They spoke to the need for a safe education environment – which many countries do not have. They spoke to Malala’s fight for education for herself and others. Their presentation was to honor Malala and her courage and convictions. The excellent presentation was appreciated by all. Other speakers included Doug Porteous of Meewasin, Dianne Boyko of the Greater Saskatoon Catholic School Board, and Ijoma Udemgba, Executive Director of the International Women of Saskatoon. 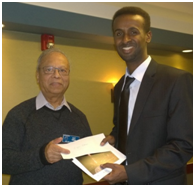 For more information on the Nobel Peace Laureate Recognition Program, click here. 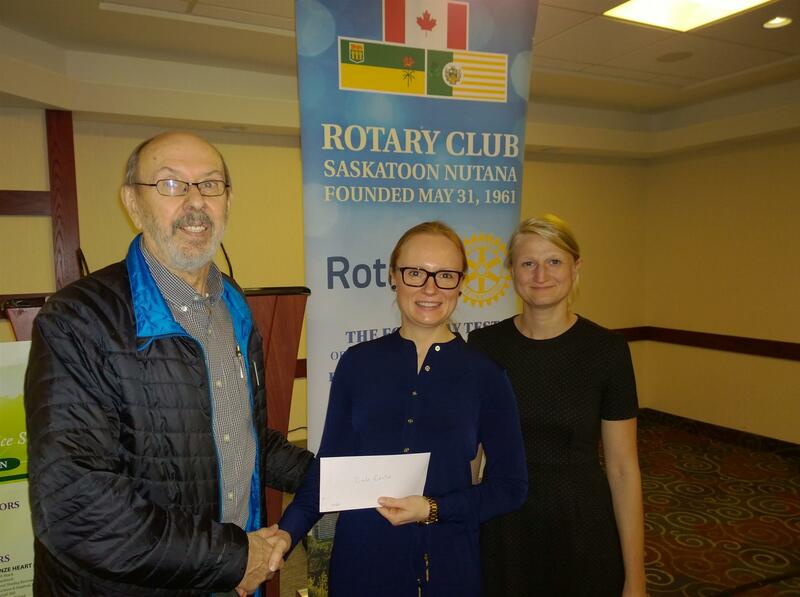 Rotary Club of Saskatoon Nutana President Peggy Clark presents a cheque for $6,580 to Dev Prakhya, winner of the 50/50 draw at Saskatoon RibFest 2016. 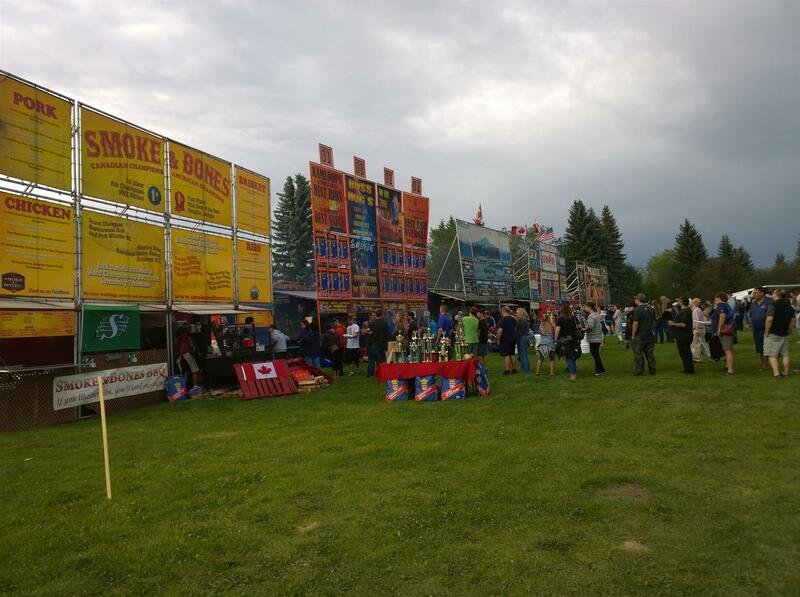 Observing is Bill Sinnett, chair of the RibFest 50/50 Draw Committee. The winning number was RF2-022025. 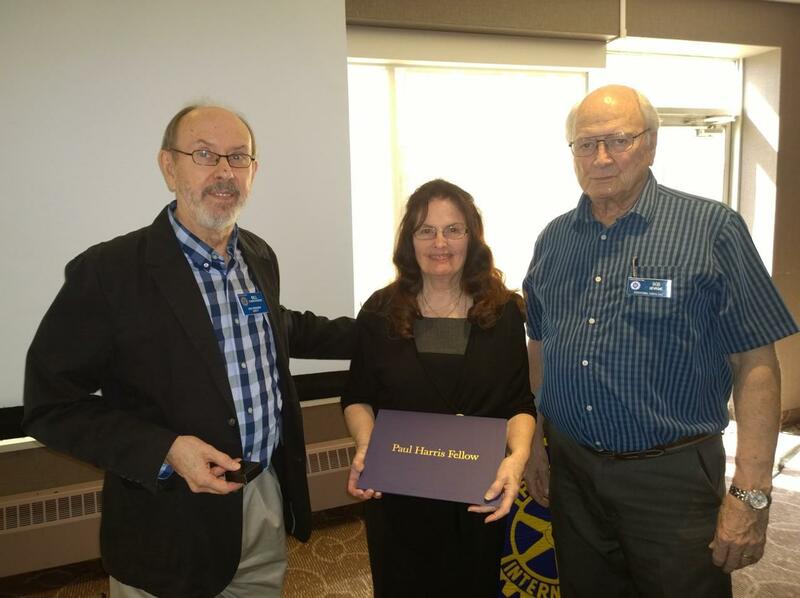 Bill Christensen, left, and President Bob Devrome presented an Honorary Paul Harris Fellowship to Helen Smith-McIntyre for her many years of work advocating for refugees. 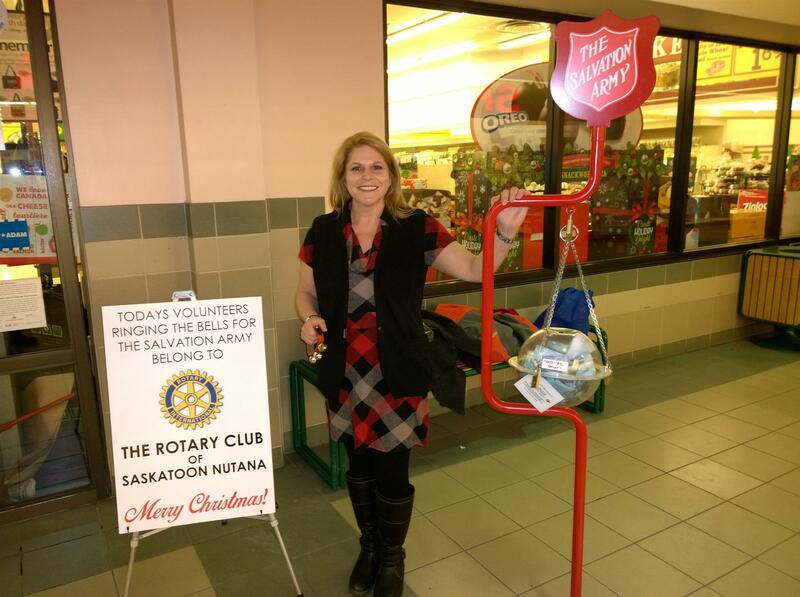 Helen Smith-McIntyre is a teacher, United Church Minister, mediator, human rights advocate and chair of the Saskatoon Refugee Coalition since its founding in 1987. 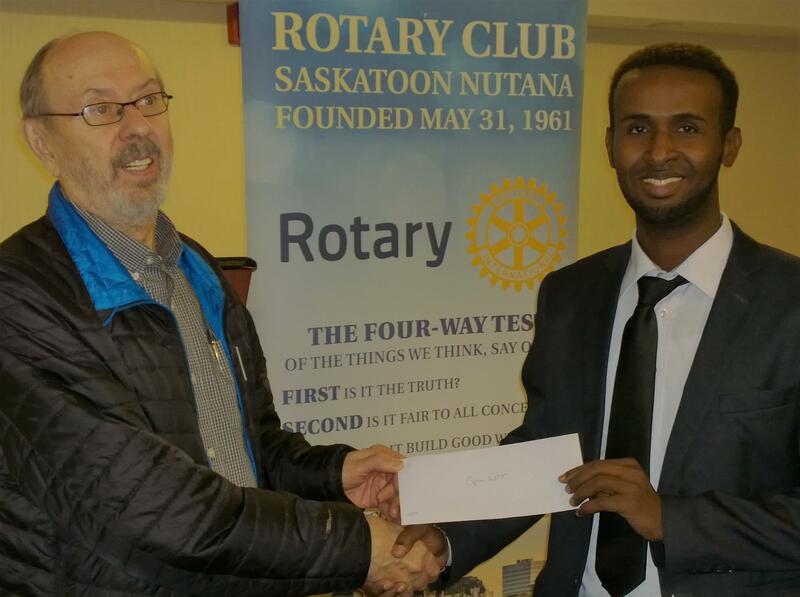 Ali Abukar, right, Executive Director of the Saskatoon Open Door Society, accepted a cheque for $4,000 from Asit Sarkar of the Rotary Club of Saskatoon Nutana at the meeting on February 16, 2016. 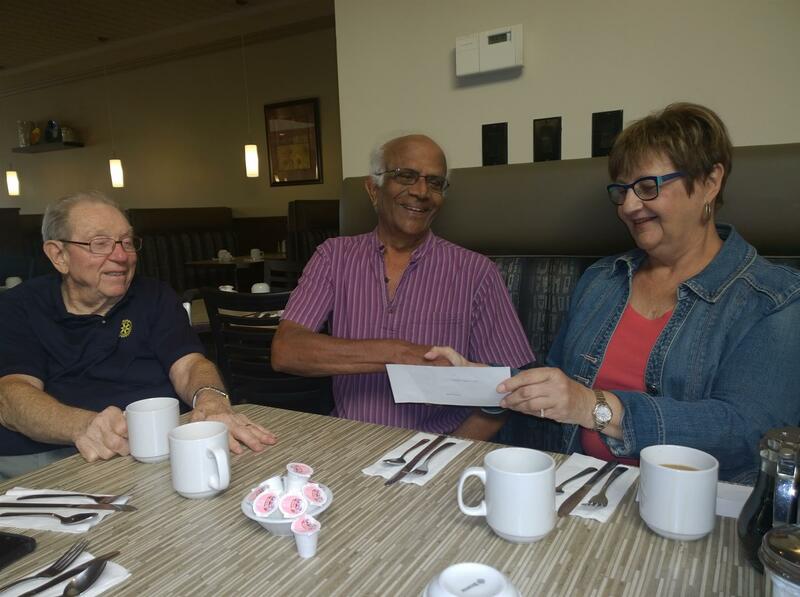 The funds will support the Society in helping refugees to settle in Saskatoon. 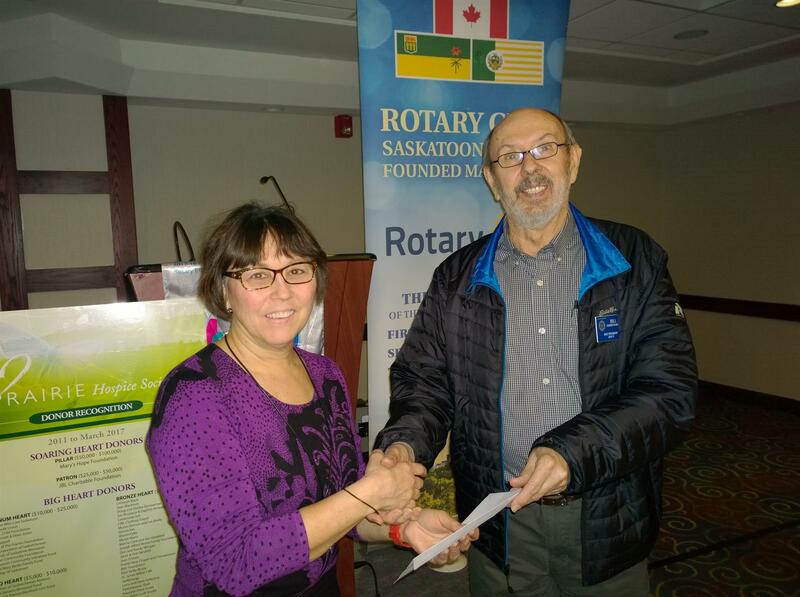 On October 5, 2014, Rotary Club of Saskatoon Nutana member Bryan Harvey presented Julie Borlaug with a certificate indicating that a brick honoring her grandfather, Nobel Peace Prize winner Norman Borlaug, will be installed in the Peace Plaza at Rotary Park in 2015. The brick is jointly sponsored by Ag-West Bio and the Agriculture Biotechnology International Conference (ABIC) held in Saskatoon October 5-8. 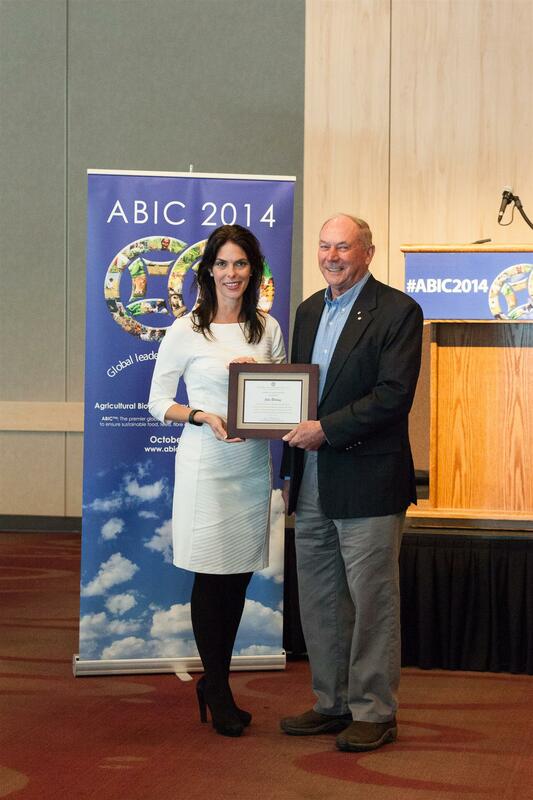 Julie was a keynote speaker at the conference on the topic "Continuing the Borlaug Legacy into the Next Century." Each year on the Tuesday closest to September 21, the International Day of Peace, the Club organizes a ceremony at the Peace Plaza in Rotary Park to dedicate bricks in honor of past winners of the Nobel Peace Prize.